NASA’s Aqua satellite provided an infrared view of Hurricane Willa as it continued moving toward landfall in western Mexico on Oct. 23. NASA-NOAA’s Suomi NPP satellite provided a visible look at the extent and structure of the storm. Willa is expected to bring life-threatening storm surge, wind, and rainfall to portions of west-central and southwestern Mexico. 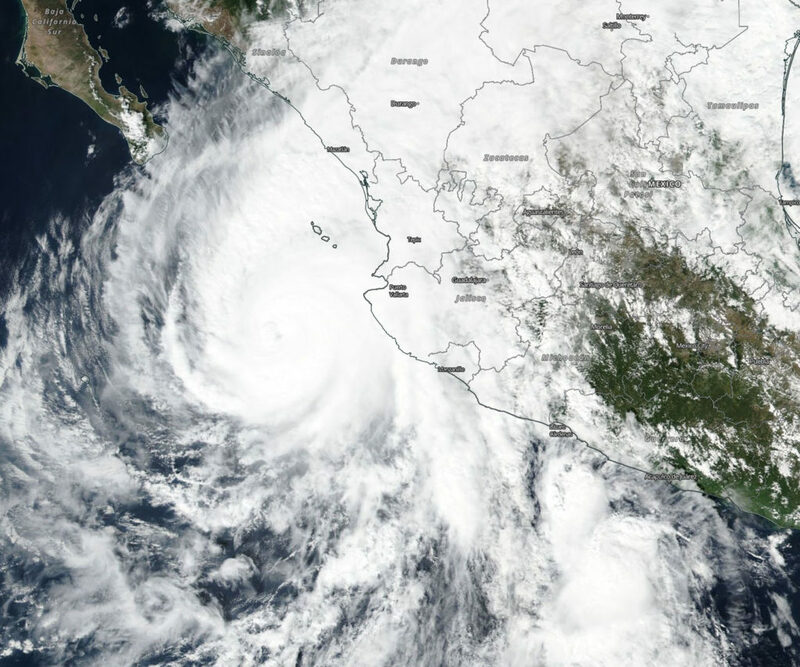 On Oct. 22, NASA-NOAA’s Suomi NPP satellite captured a visible image of Hurricane Willa when it was battering western Mexico with heavy rainfall, rough surf and strong winds. The image showed powerful thunderstorms circling a cloud-filled eye and the storm stretched from Sinaloa state south to Michoacan state. 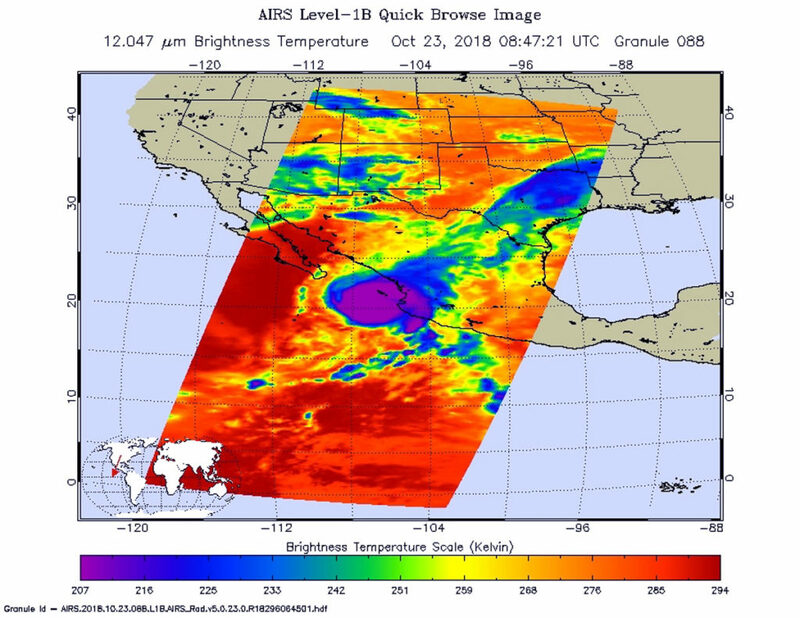 NASA’s Aqua satellite passed over Hurricane Willa on Oct. 23 at 4:47 a.m. EDT (0847 UTC) and the Atmospheric Infrared Sounder or AIRS instrument aboard analyzed cloud top temperatures using infrared light. Coldest cloud top temperatures were as cold as or colder than 208 Kelvin or minus 85.2 degrees Fahrenheit (minus 65.1 Celsius). Cloud top temperatures that cold indicate strong storms that have the capability to create heavy rain. The National Hurricane Center noted “While gradual weakening is forecast today, Willa is expected to be a dangerous hurricane when it reaches the coast of Mexico. Rapid weakening is expected after landfall tonight and continuing into Wednesday (Oct. 24).